Pat has been an employee with Wolf Corp since he was 19 years old in 1987. Beginning his career as a carpenter’s assistant and working his way up, he has cultivated and mastered the skills required to build and manage a custom build project from inception to completion. Pat loves the flow of leading a perfectly assembled team and keeping the client happy. He describes trouble shooting as his specialty, a daily component to managing multiple job sites at once, which is something he does most days. 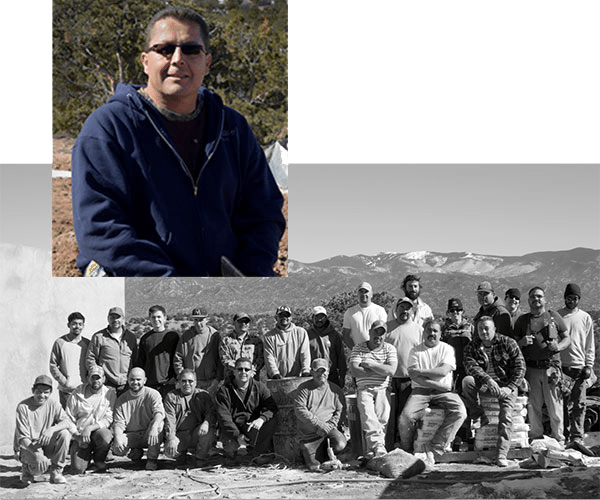 As a licensed contractor for more than 30 years, contracting and building runs generations deep on both sides of Nat Sena’s family. 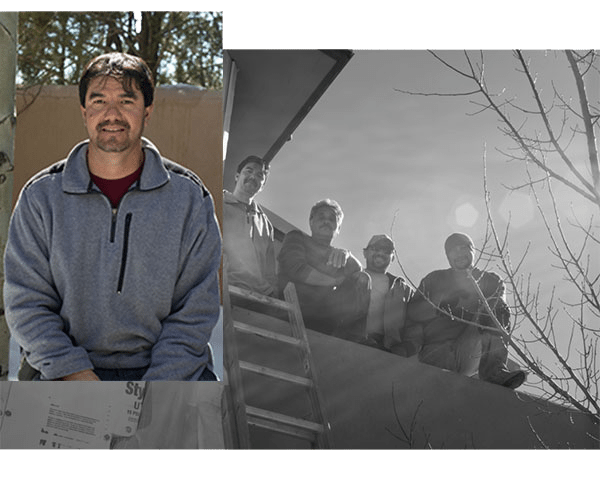 “I’ve done it all” says this native New Mexican, about his experience in construction. Six years ago Nat joined the skilled crew at Wolf Corp and today he is a foreman managing the details on large scale custom commercial and residential buildings from excavation to final finish. His notable commercial accomplishments include an extensive renovation of Buffalo Thunder Hotel Restaurant and Casino. 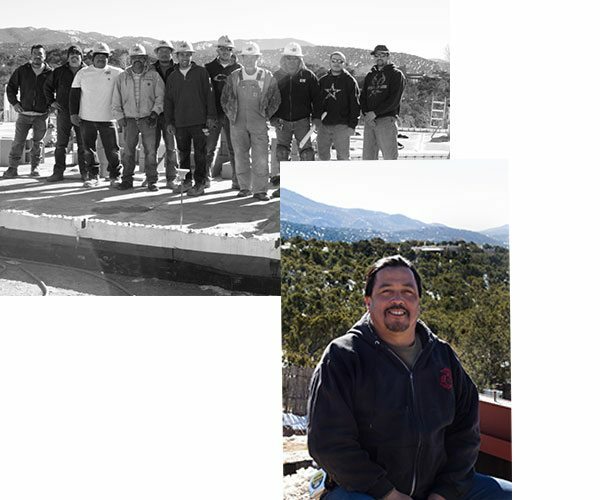 Eric Martinez, has spent the last two decades contributing to the reputation and tradition of excellence Wolf Corp Custom Builders has built in the community. Eric believes the success of every project he leads begins and ends with superb communication and delivery of information among all parties involved. Coordinating and managing logistics among the crew, the architect, sub-contractors and the client or client rep on projects, is what Eric Martinez loves the most about his job. Ramon Marquez, an employee with Wolf Corp since 1992 is soft spoken, yet solid as could be. He is regarded by all for his peaceful nature and ability to skillfully solve complex problems with ease. Some of Ramon’s notable accomplishments as foreman include the Academy for the Love of Learning, A Gold Certified LEED commercial project and an exquisite high end meditative custom home that was featured in the 2015 fall issue of Trend magazine.